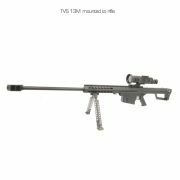 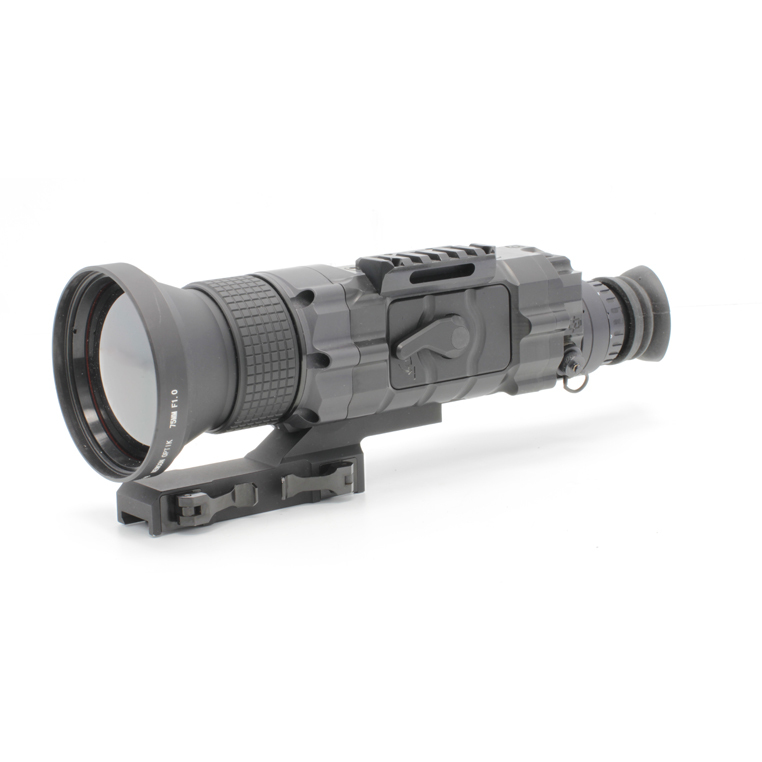 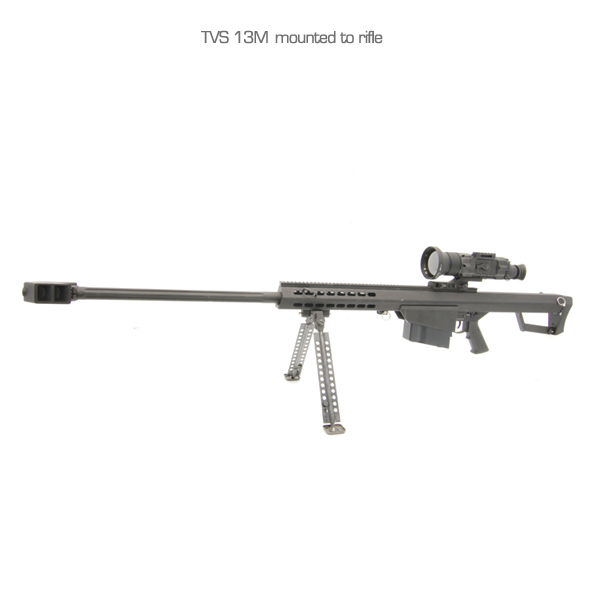 The TVS 13M (640-75_9Hz) thermal riflescope series is designed to act as a force multiplier in the most demanding situations faced by border patrol, law enforcement, tactical teams and special operations forces. 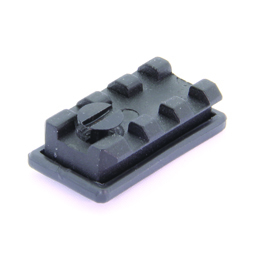 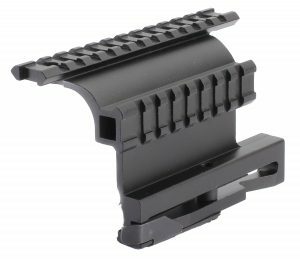 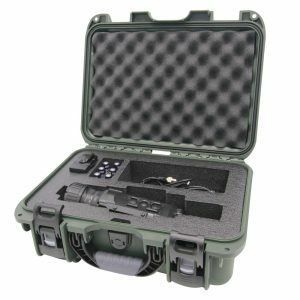 The TVS 13M (640-75_9Hz) functions effectively in CQB, medium and long range target engagement applications. 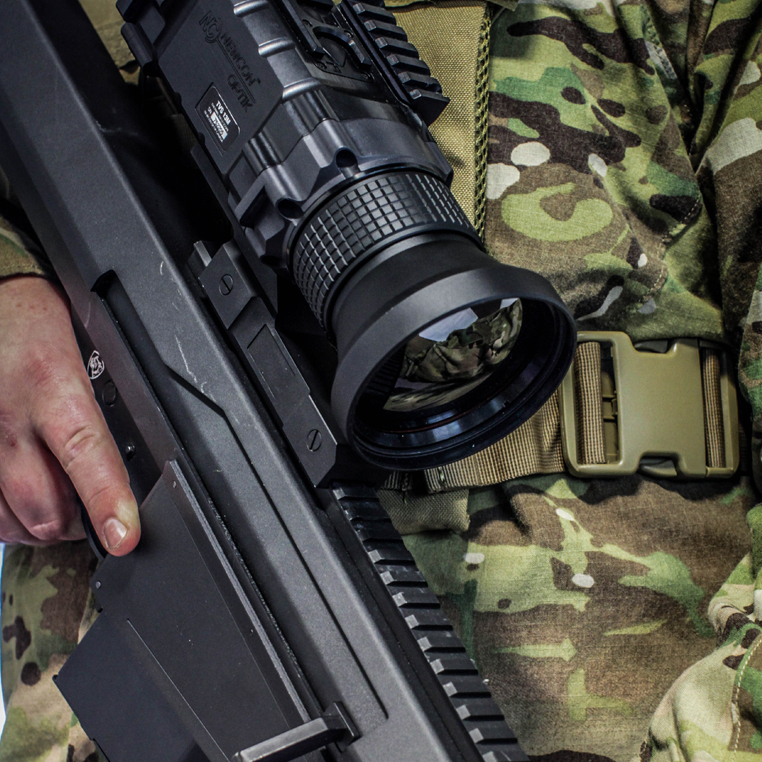 Advanced in-built ballistics software allows for accurate firing on virtually any weapon platform, while a video output port and internal storage capability enable the capture of video and still images. 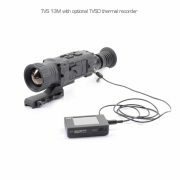 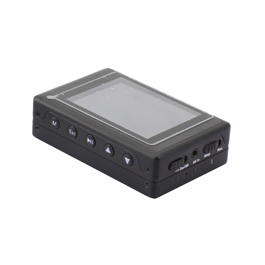 The TVS 13M (640-75_9Hz) comes standard with a QR MIL-STD-1913 mount, and can also be used as a hand-held observation tool. Unlike traditional night vision devices, the TVS 13M (640-75_9Hz) operates 24 hours a day without any degradation in performance when used in daylight, smoke or fog and it can also penetrate camouflage. 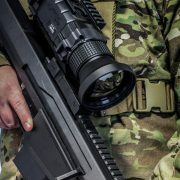 With a variety of other features including image polarity selection, sepia, rainbow and other colour options, a proximity sensor and full MIL-SPEC design, the TVS 13M (640-75_9Hz) is the right choice for tactical applications in any environment.